No, that’s not a trick question…or is it? 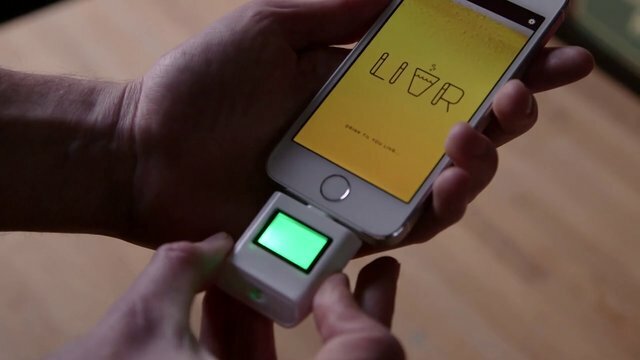 The almost-too-clever LIVR (as in “liver failure”) requires users to attach a breathalyzer to their smartphones—and only those with blood-alcohol levels above the legal limit may proceed. Bar recommendations are one thing, but does the world really need a crowdsourced guide to which pub’s patrons have imbibed the most on a particular evening, not to mention a Grindr-style feature allowing users to connect to fellow lushes who’ve had just a few too many? We don’t know about you guys, but we find that the most effective tools for determining the relative drunkenness of other nightlifers are the two things we call eyes. That said, we’ll be the first to tell you when some brilliant engineer develops a “drunk vision” feature for Google Glass.